CLS refers to timber that adheres to the Canadian Lumber Standard; it is specially kiln dried Whitewood that has been planed and finished with eased edges for precision. 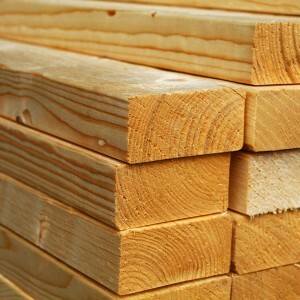 It is very popular in construction thanks to it being an affordably priced, strong timber of uniform shape and size with good resilience against fire. The smooth rounded corners of CLS make it safe to handle. It also has knots away from the edges, this not only makes it look tidier and reduces splintering, but also decreases risk of fire spreading through the material. The smooth finish of CLS gives it an appealing look that holds paints, stains and preservatives exceptionally well. A common use for untreated CLS is in internal structural work and low-cost construction projects. It is available in two prevalent grades, C16 and C24. Both are strong, though C24 has fewer defects. Visit any of our stores and we can provide all of the cutting, machining and cross cutting services you may require for your next project.